An economical solution for all non-archival storage needs. 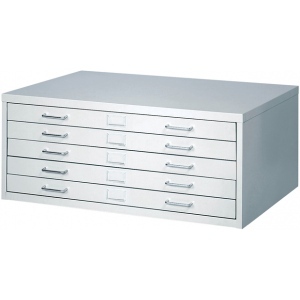 * Features include nylon ball-bearings functionally designed label holders and chrome drawer handles. * Drawer capacity is 60 lbs. Unit can be stacked up to two high on closed base and one high on high base. 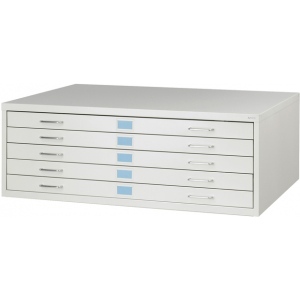 * Some assembly required.Small flat file has overall dimensions of 40 1/4" x 26" x 16 1/2". * Inside drawer dimension 37" x 25" x 1 1/4". * Flat file only no base.